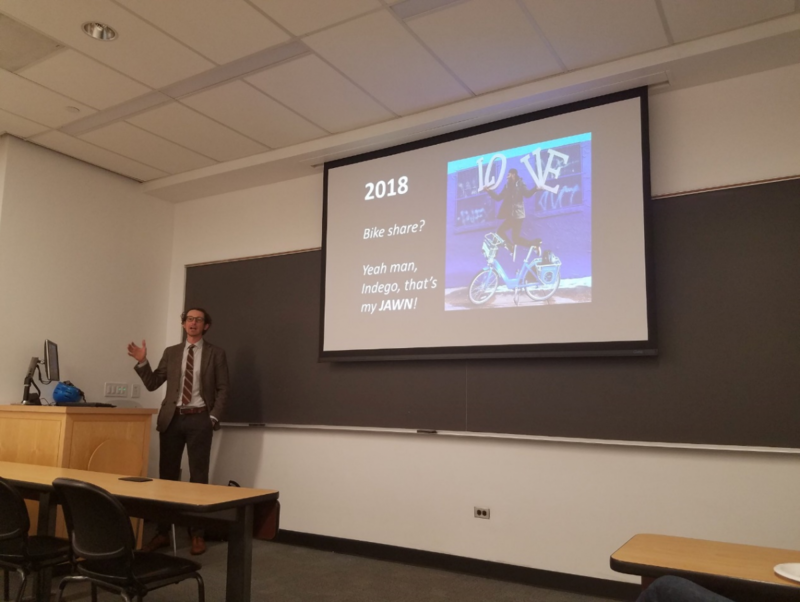 This event featured a presentation from Aaron Ritz, the Transportation Systems Manager for oTIS (the Office of Transportation, Infrastructure, and Sustainability) and the manager of the City of Philadelphia’s bike share system, Indego. Aaron is a graduate of the Penn MCP program with a lifelong passion for biking and walking. He presented on the trends in bike share and in shared micromobility (scooters). Discussion unfolded later on topics such as China’s bike share models and the coordination between public and private sectors on shared mobility.